Serving the greater Tulsa area including the Historic District, Brookside, Cherry Street, Pearl District, Downtown Tulsa and the entire surrounding area. CALL US TODAY AT 1-888-507-7960 for a FREE ESTIMATE. 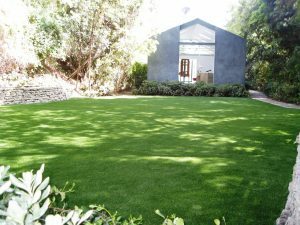 Celebrity Greens Tulsa is the Authorized Dealer, Designer and Installer of Artificial Grass, Artificial Turf and Artificial Putting Greens for Tulsa and the surrounding areas. We specialize in Artificial Grass solutions for landscapes, playgrounds, pets, golf greens and recreational sports. We have professionally installed Synthetic Turf in a large variety of public and private venues. We are experts in landscaping and understand drainage, slope, curb appeal, and the significance of using high quality products to perfect our turf installation process, whether it’s for artificial lawns, putting greens or commercial applications. We always take a very personal and involved approach with all of our clients, big and small. Our installations range from the smallest custom private installations to large scale contracting installations. 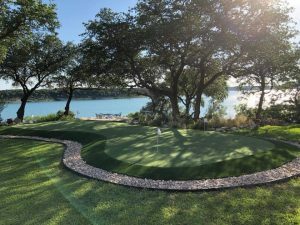 Celebrity Greens Tulsa is a design & build company for both residential and commercial turf customers alike. Our installers are true craftsman and take great pride in every installation they complete. Whatever the project, the attention to detail, quality turfs and experience are second to none. Contact us today at 1-888-507-7960 for a free consultation!